The number has grown by more than two million versus what Senior Vice President Eddy Cue noted at the SXSW interview about two weeks ago. 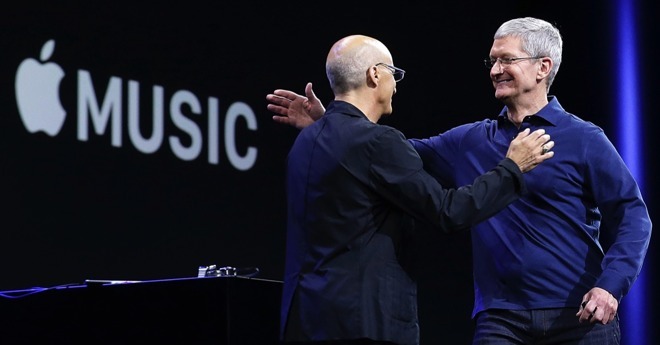 While neither Huon's or Cue's numbers are dated or precise, the expansion suggests that Apple Music growth rates are either still good, or climbing month-over-month. "The real opportunity for music — and it's not about Spotify or us or the labels, it's about artists — is how do they get their music to everyone around the world and how do they get compensated for that," Cue said. "We both have to grow by significant amounts in order to get to the numbers which it should." Apple Music recently greatly expanded with a Music Videos section, initially announced as part of iOS 11.3, alongside a number of other updates.